Coastal Engineering & Surveying, Inc. specializes in finding the highest and best use for commercial, residential, and/or industrial property for our clients. Click here to learn more. We offer complete consulting services for future homeowners. Coastal has over twenty years of experience designing and supervising residential construction. Click here to get in touch with us! Coastal Engineering can handle everything from a simple elevation certificate to plans for a full scale, multi-use industrial, commercial, or residential community. Click here to learn about our services. Coastal Engineering & Surveying, Inc. is a full service Civil and Structural Engineering, Land Surveying, & Construction Management and Contracting firm located in Kitty Hawk, North Carolina. 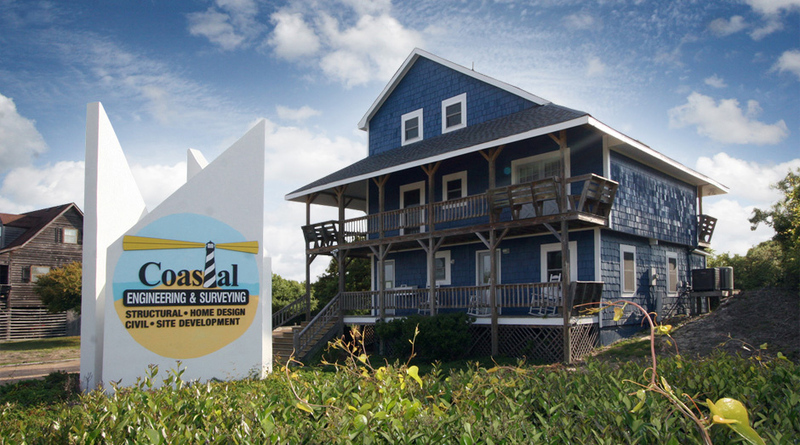 We have been in business since 1989 serving the northeast North Carolina & Outer Banks areas. With Engineers, Land Surveyors, CAD Design Technicians, Project Managers, and Construction Managers on staff, we can handle everything from a simple elevation certificate to plans for a full scale, multi-use industrial, commercial, or residential community.